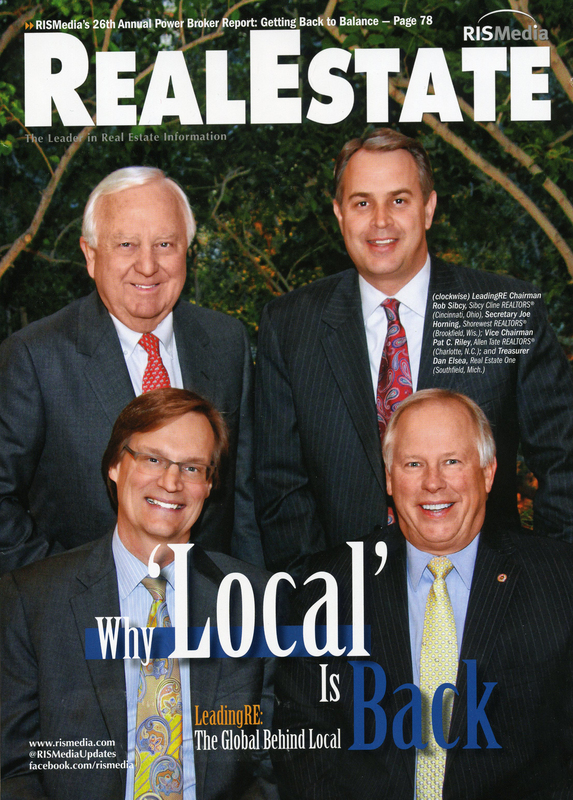 Rob Sibcy, president of Sibcy Cline Realtors, is on the cover of the April 2014 issue of RIS Media Real Estate Magazine! And he is in very good company along with Joe Horning of Shorewest Realtors, Pat Riley of Allen Tate Realtors and Dan Elsea of Real Estate One Realtors. These four professionals are part of the Leading Real Estate Companies of the World Board of Directors. Rob Sibcy is Chairman for this board. The cover story article is called, “Why Local Is Back – Leading RE: The Global Behind Local,” and refers to the constant-growing trend of supporting local businesses. Many people prefer to use a local business whether it is a restaurant, hardware store, bank or real estate firm. Leading Real Estate Companies of the World is comprised of the top independent real estate firms in their local market areas. The organization represents more top market areas than any other nationally branded real estate organization. These real estate companies, like Sibcy Cline Realtors, have deep roots in their communities. Their involvement on a local level is what has led to their success in maintaining their #1 position in their respective markets. Leading Real Estate Companies of the World provides that world-wide presence while the member firms still maintain their local character and tradition. Collectively, these companies have strong business connections and global ties. Read this magazine article here on starting page 72. This entry was posted in News, Real Estate and tagged April 2014, president of Sibcy Cline Realtors, RIS Media Real Estate Magazine, Rob Sibcy, Why Local Is Back by susanaknabe. Bookmark the permalink.